A packaging solution for baguettes, tortillas, wraps, subs, bloomers, panini and specialty sandwiches. Combining lightweight paper and film laminate, Softpack™ conveys a high-quality, natural look. It provides excellent branding opportunities and a large window to maximise product visibility. Best of all, we’ve designed it so that it can be formed and packed on standard flow wrap machines with only slight modifications. This means you can offer a top-tier product that runs alongside your existing flow-wrapped products without any major investment or disruption. The world’s first hermetically sealed carton food tray. This means it supports Modified Atmosphere technology – a process whereby virtually all oxygen is removed from inside the tray to extend the life of the product. 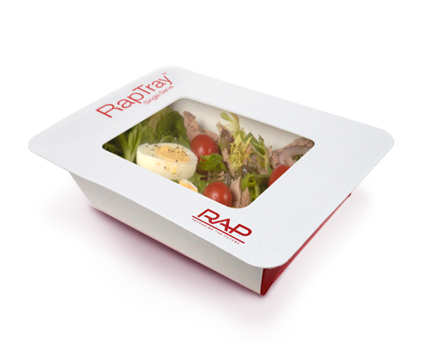 Suitable for a wide range of chilled meals, salads and fruit salads, the RapTray™is constructed from lightweight board and laminate film, making it 20% lighter than standard equivalents. The “Hot Rap” system is based on a combination of lightweight film adhered to a profiled corrugated board to form a receptacle to eat from. The uniqueness of this application is that it can be microwaved or put in a conventional oven up to 180°C. 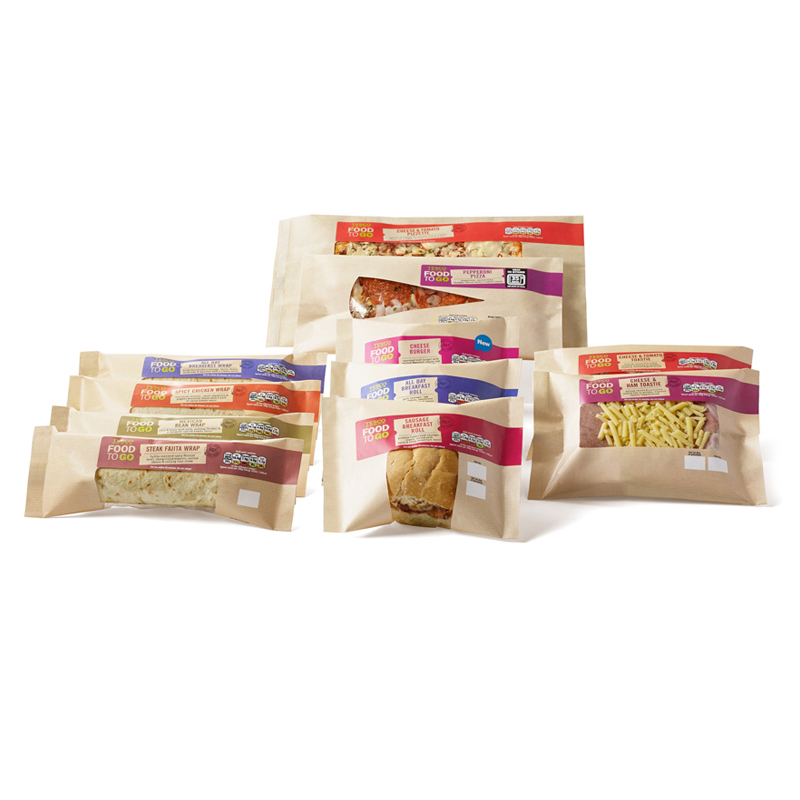 The board element adds insulation against high temperatures while holding a hot savoury product such as sausage roll, pasties and meat pies straight from the hot cabinet. Moreover, as with all RAP’s products, it is ergonomic to eat from. 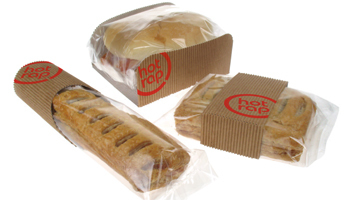 The “Hot Rap” range can be stored in a hot cabinet of up to 80°C for a period of time, while keeping the product as tasty as when it went in.